Knowing where biblical events happened can help you understand the bigger picture of scripture—and that's what The Bible Atlas and Companion is all about. Based on NASA Space Shuttle imagery, the 75 brand-new maps in The Bible Atlas and Companion feature some of the most precise geographical detail available. 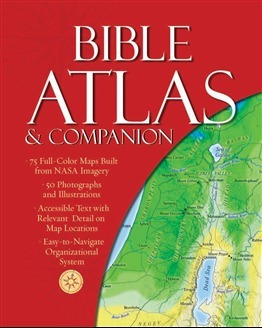 The four-color maps cover all of Bible history, while accessible text explains the biblical context and other relevant facts. Christopher D. Hudson is founder of Hudson Bible, a book packaging company in DeKalb, Illinois. He has written and edited for numerous Bible and reference projects.